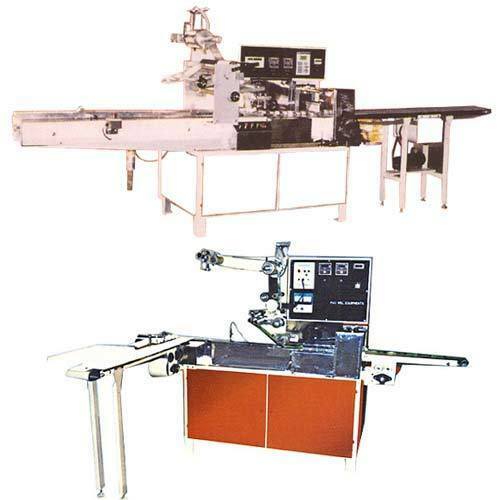 We have a wide range of Horizontal Packaging Machine. These machines are easy to install and operate and offer optimum performance for a long period of time; and that too with low maintenance cost. Our horizontal Packing Machines are extensively used for packing biscuit on base (pile pack) or biscuits on edge or even family pack for biscuits, chocolate bars, noodles, cake as well as various other food items. These are available in customized and standard designs as per the requirements of our clients. With the immense industry experience of 41 years, we are one of the Leading Manufacture, Exporter And Supplier of wide range Complete Biscuit Plants for hard dough & soft dough Wafer making Machines, Cone Machines,Hard Boiled Candies & Toffeee machines, Bubble Gum & Ball Gum Plant, Vertical & horizontal Packing Machines, Liquid Filling Line and Pet Blow & Raw Material. These are fabricated utilizing high grade raw material that is sourced from reputed vendors to maintain the quality of the end products. Widely appreciated for low power consumption, excellent load capacity, these are extensively used in food and beverage industry. Furthermore, due to the international quality standards, these machines are Exported to more than 15 countries, such as Most African nations Singapore, Gulf countries, North & South America and Europe. Apart from manufacturing facility, we also undertake turnkey projects and offer effective after sales services such as maintenance, repair, installation of equipment, on-site support at economical cost to achieve utmost client satisfaction.